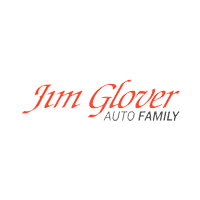 We’re in the automotive business so when you have automotive business to take care of, visit the Jim Glover Auto Family! We have a collection of dealerships the Tulsa and Owasso, OK areas so that we’re able to provide you with a range of new and used car options. Take your time as you stroll through any one of our locations and snag a team member to ask questions. Our selection of competitively priced Chevrolet models are hard to beat, take advantage of one of the money-saving offers we have in store for you right now, drop by your nearest location today! We’ve worked hard to create a stress-free, no pressure environment so you can shop with confidence and you’ll be treated with the respect you deserve no matter which location you choose to browse. Eager to shop right now? No problem, our entire inventory of brand new vehicles is available right here on our website.